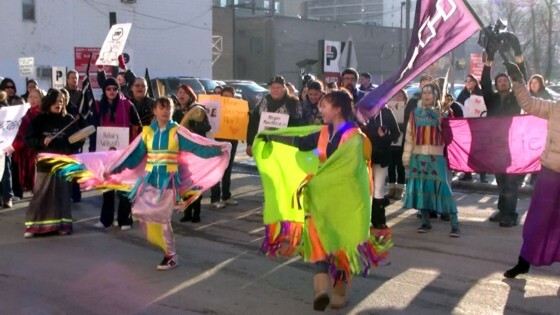 Winnipeg, February 14, 2012: A group of aboriginal men held a march to show solidarity with the families of missing and murdered aboriginal women in Canada. While the march was organized by men, there were no restrictions on who could attend – all were welcome – and there was a good turnout of men, women and children of all ages. 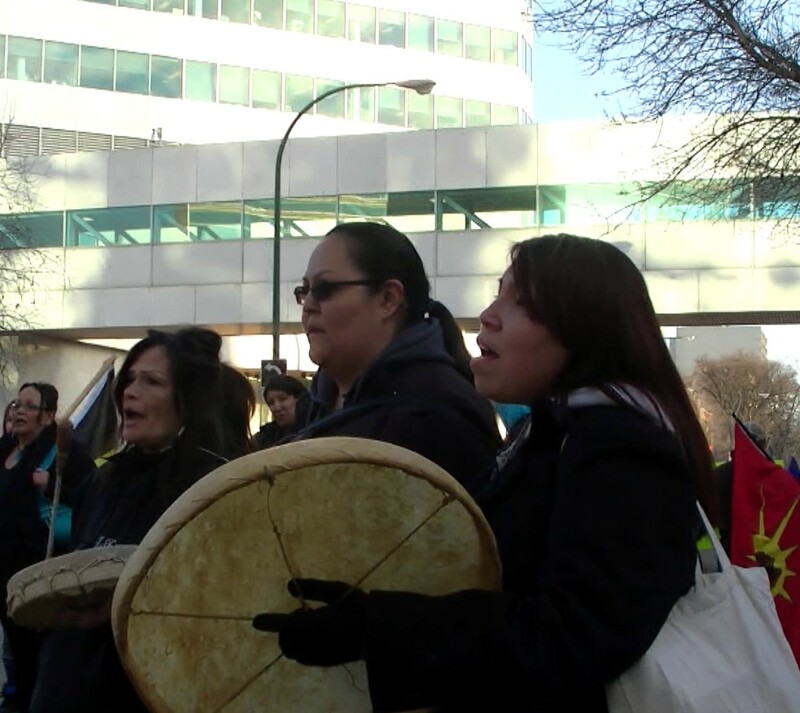 The march began at the corner of Carlton Street and Portage Avenue, the site of the Aboriginal Peoples Television Network, and wound through downtown Winnipeg, stopping at the Department of Indian Affairs, the Assembly of Manitoba Chiefs and the Law Courts Building, before ending up at the Manitoba Legislative Building. Despite the marked police presence (several squad cars, a helicopter overhead), the marchers remained peaceful and good spirited. I use the word “despite” because it was clear the marchers would have preferred the cops to be putting their energies into catching killers and finding missing women. 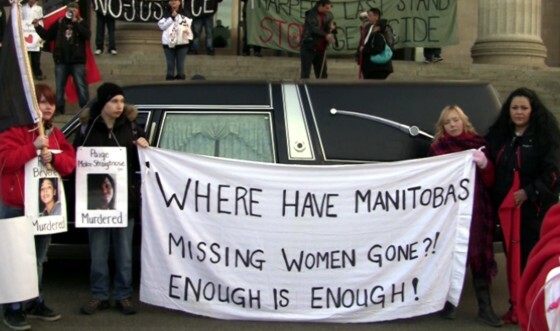 While some estimates put the number of missing and murdered women at 600, no one really knows. What is clear is that not nearly enough is being done to locate these women and to stop the carnage. And here is my video report.